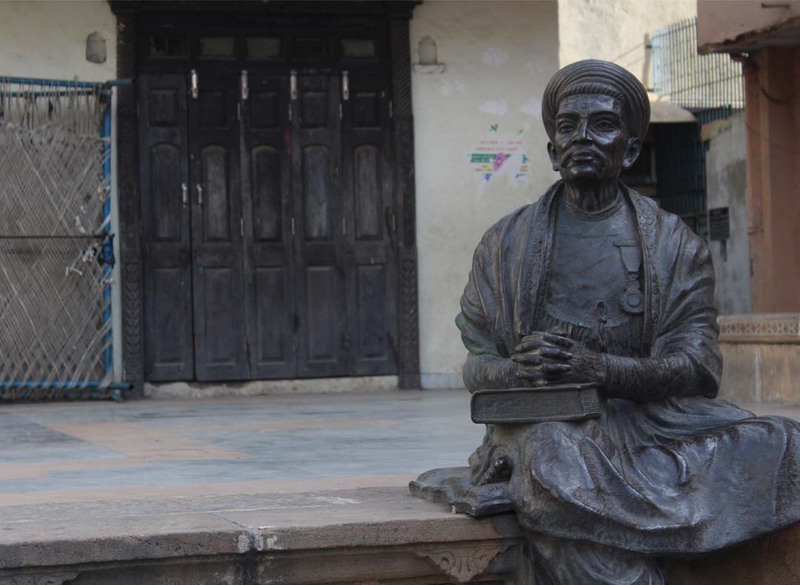 Kavi Dalpatram was a reformist poet who played a major role in promotion of the Gujarati language. Few know that the first official`appeal` for adoption and promotion of the Gujarati language took place in 1863, when Dalpatram (1820-1898) was sent by a British officer, T B Kurtis, to the court of the Gaekwads at Vadodara. Gujarati language touched new heights when Dalpatram met Alexander Kinloch Forbes, a British civil officer who had keen interest in the development of the Gujarati language. 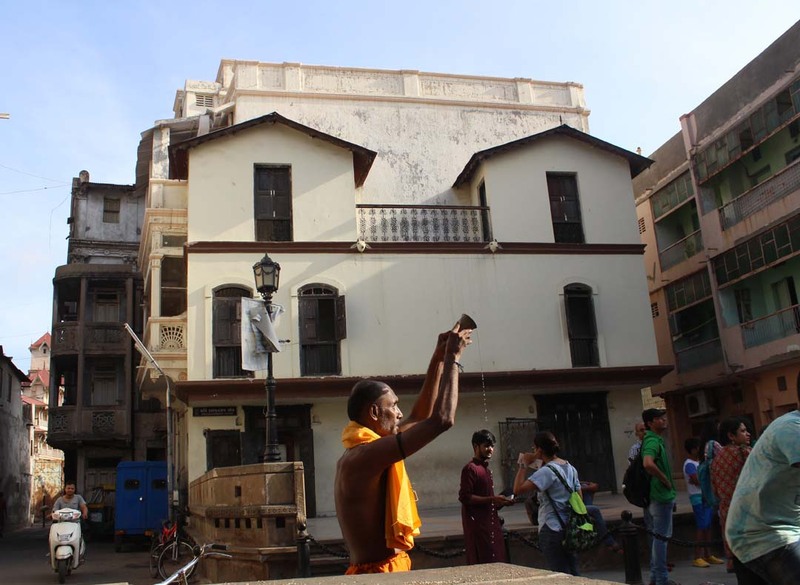 Forbes met Dalpatram in 1848 and they were both associated with the Gujarat Vernacular Society from its founding. They read Gujarati poetry together for two hours a day. It was thanks to his association with Dalpatram that Forbes became exceptionally fluent in the language and the history of the region. 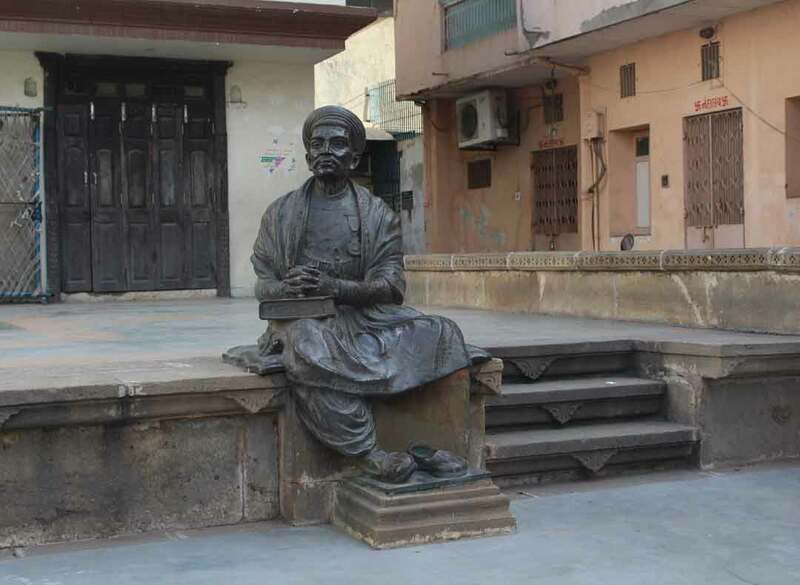 In tribute to Dalpatram’s work, AMC and citizens of Ahmedabad proposed a memorial at the site of his house, which was destroyed in 1985. With the help of References available from the memories of residents and the architectural design of surrounding houses, a memorial in the form of facade of the house and statue of Kavi Dalpatram was developed in the year 2001. 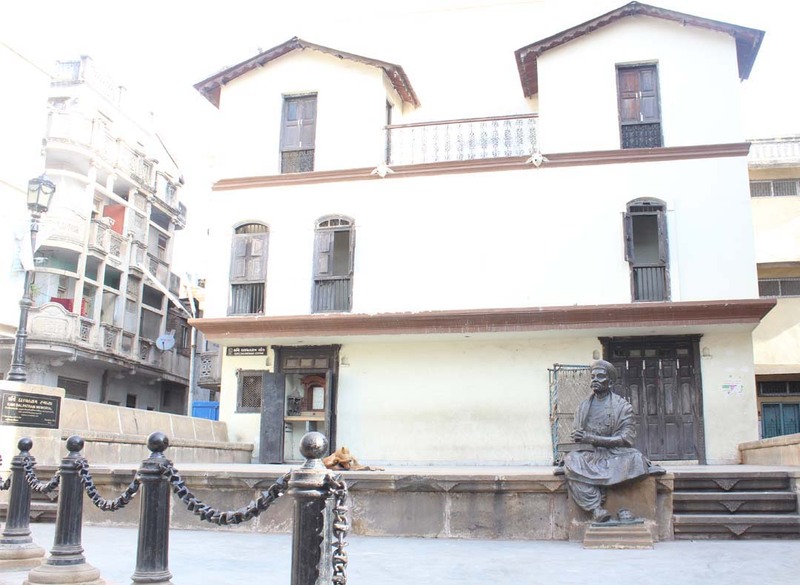 Since then the Memorial with the Statue and house facade became the part of Heritage walk of Ahmedabad and the house location in Lambeshwar pol was named as ¨Kavi Dalpatram Chowk¨. Another key feature of the statue is the empty shoe of kavi which is very dear to the children. The children call him ‘Dada’ or grandfather with love and have deep emotions attached to the statue. The platform behind the statue displays the plan of the original house. The yellow stone on the floor indicates the walls, grey stone indicates the rooms and the black stone represent the open courtyard. The staircase is also marked with yellow stone. The memorial also serves as a platform for community gatherings. His plays and recitations are also enthusiastically performed on various occasions including his Birthday. 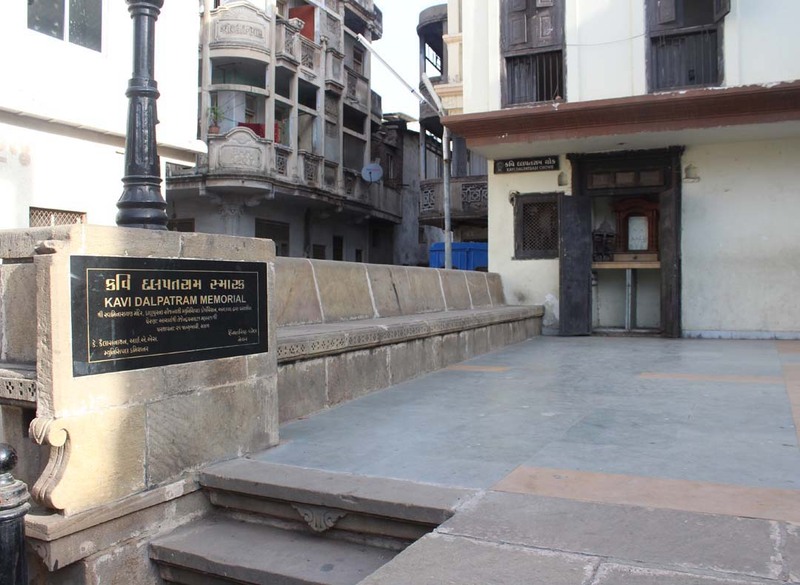 The Heritage department has taken the responsibility of maintenance of the Dalpatram Memorial.